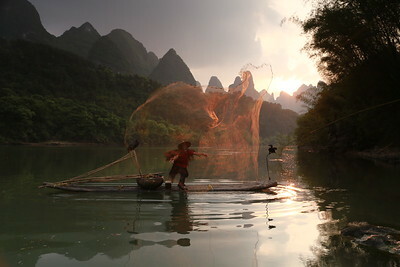 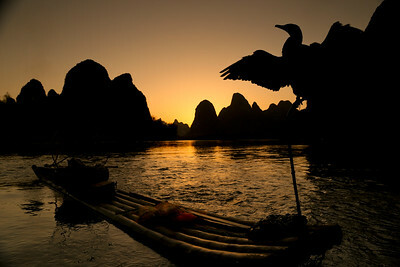 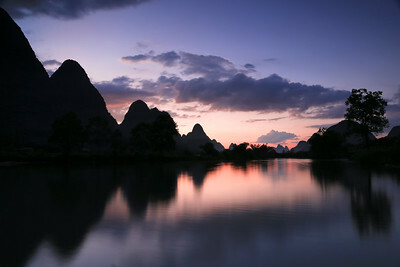 Guilin sunset photos are taken and selected from the remarkable places in Guilin,Yangshuo,Li river and Longji rice terraces,You can appreciate the natural wonders at the sunset moment in Guilin area by viewing these outstanding photographs. 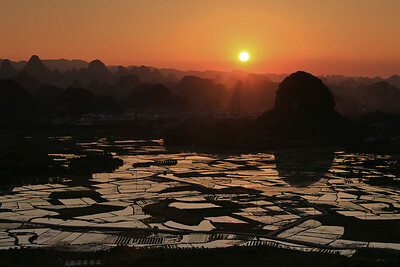 sunset light reflected on the mirror-like rice paddies in Putao town. 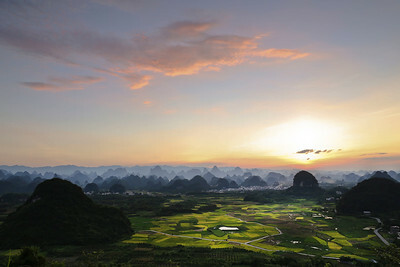 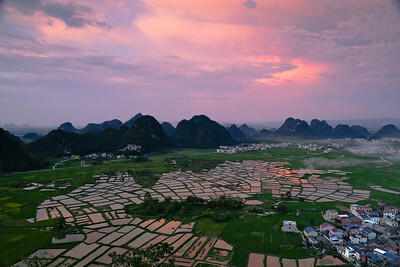 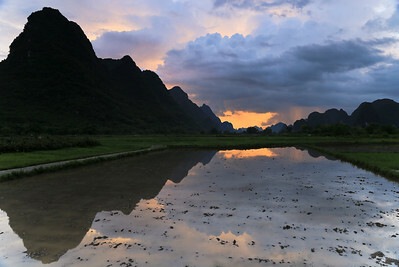 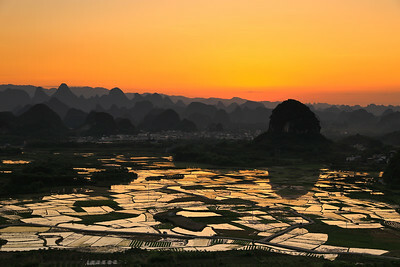 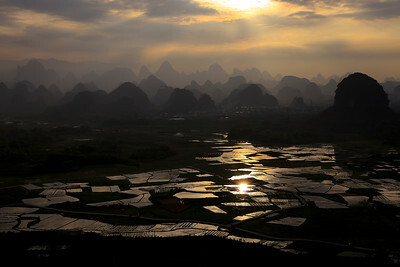 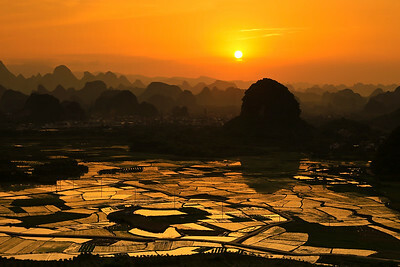 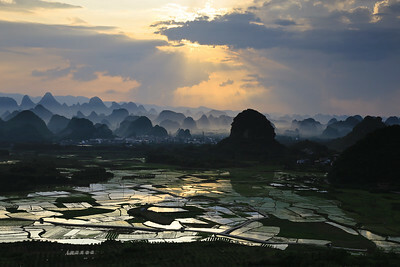 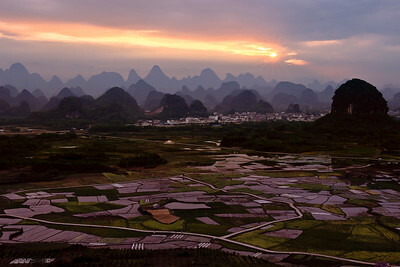 sunset over the Karst peaks and mirror-like rice paddies in Putao town,Yangshuo,China. 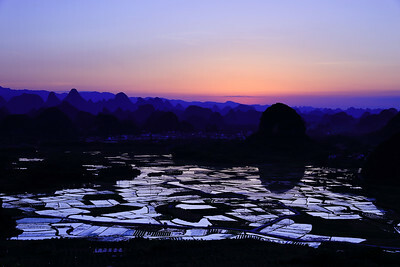 orange light reflected on the mirror-like rice paddies in Putao town at nightfall. 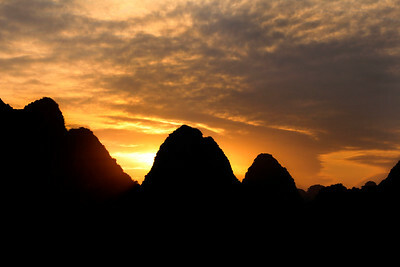 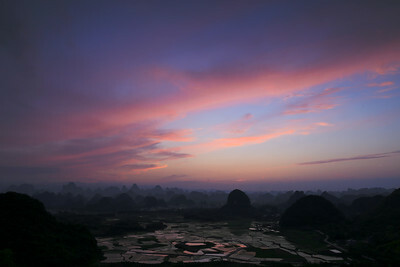 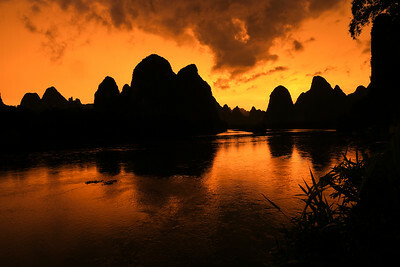 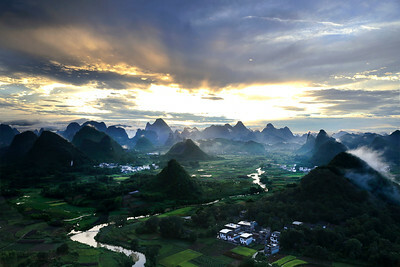 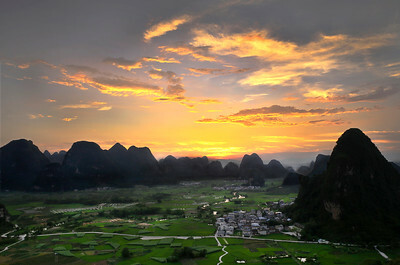 fascinating sky and clouds appeared in the countryside of Yangshuo after sunset. 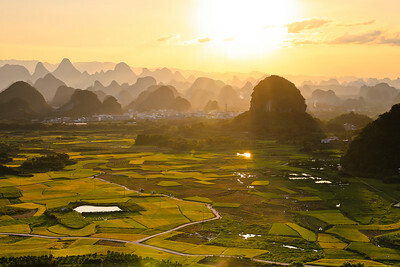 Golden light shining the Karst peaks and vivid countryside at sunset.